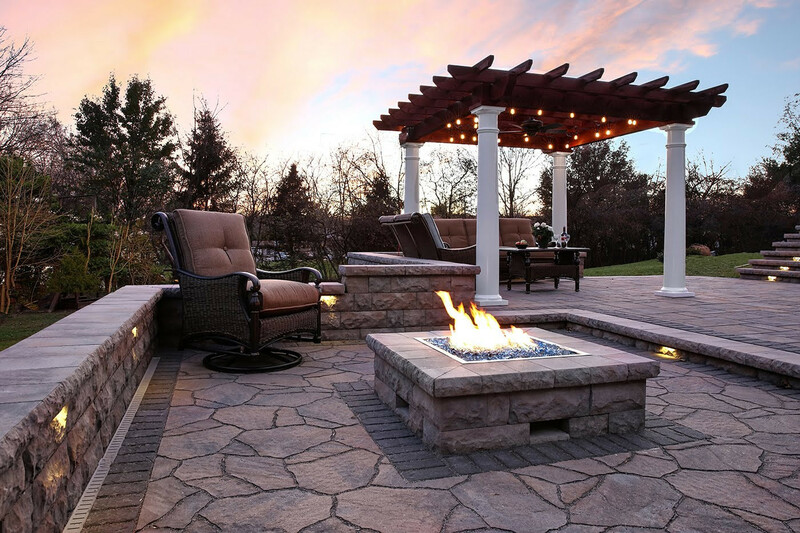 Your one source outdoor solution. 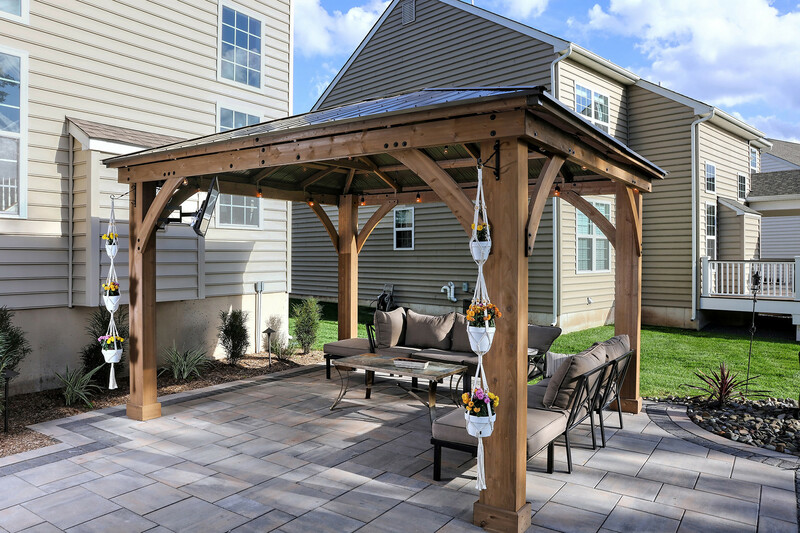 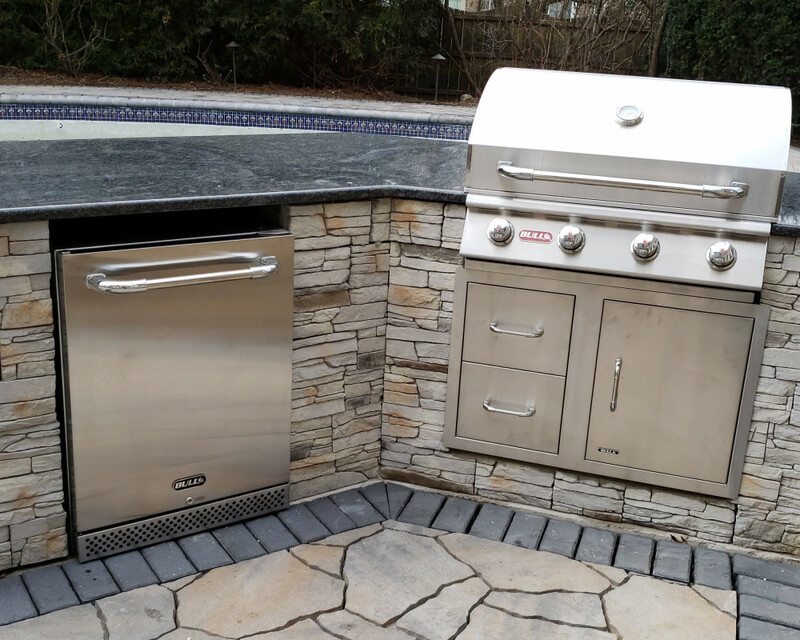 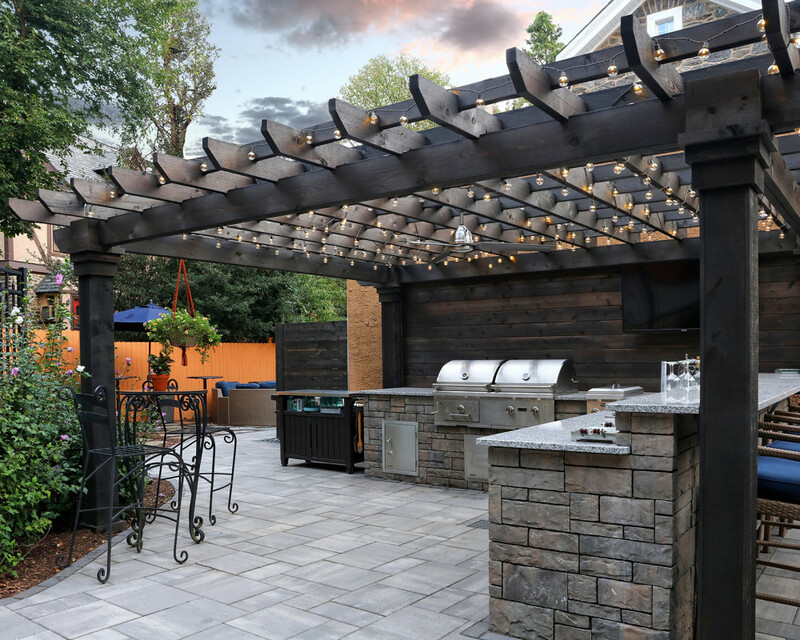 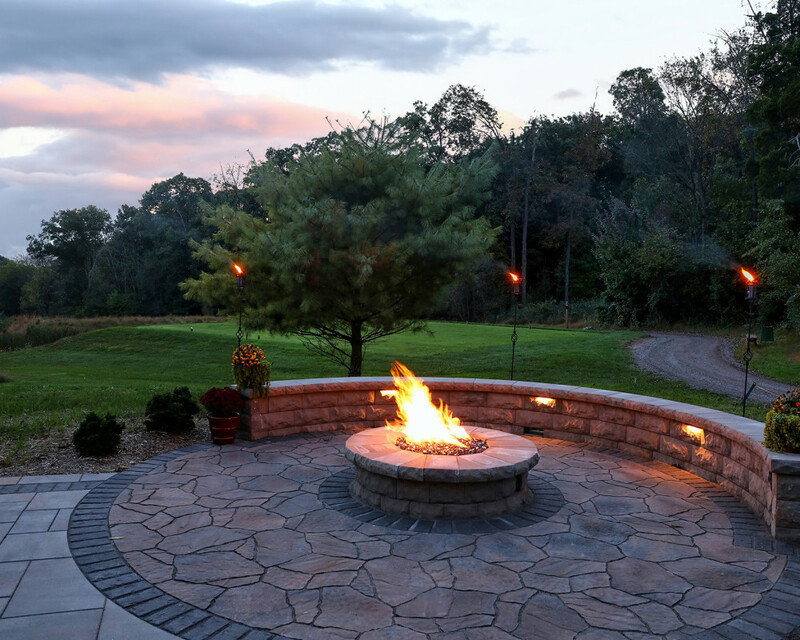 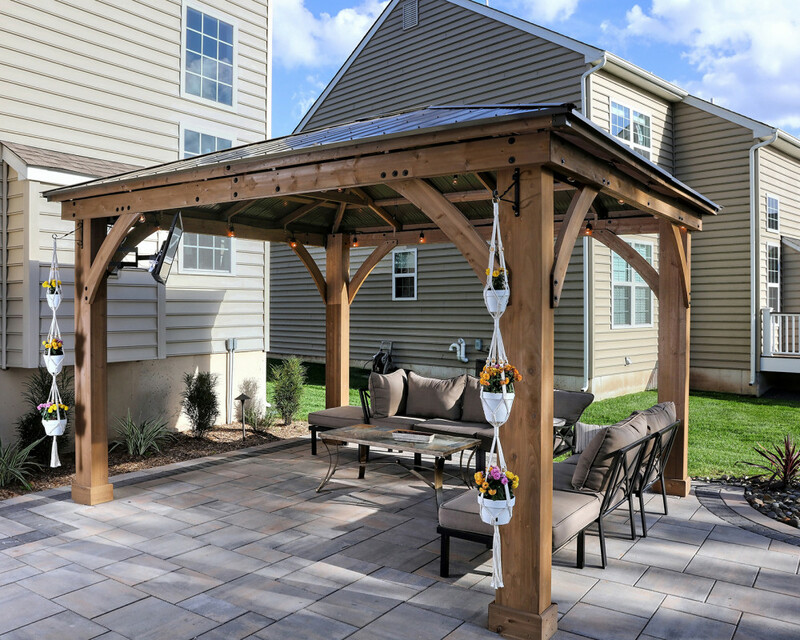 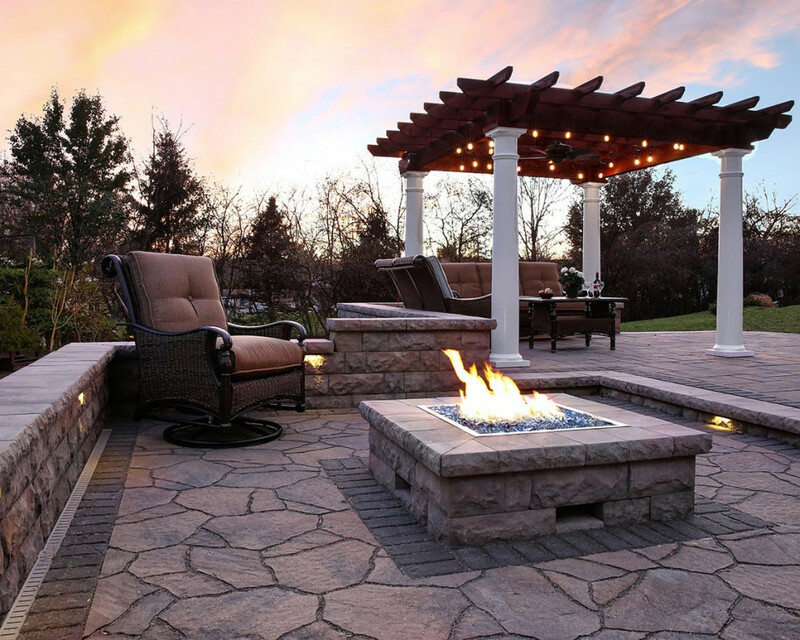 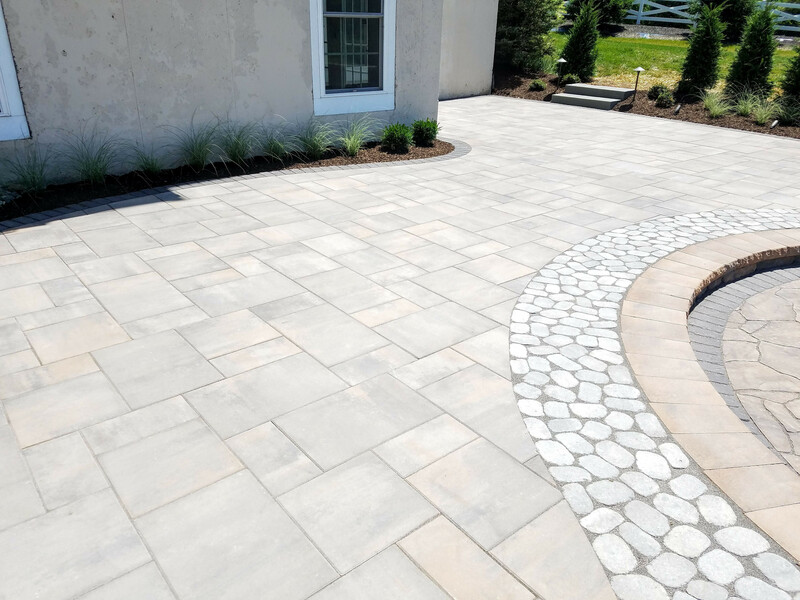 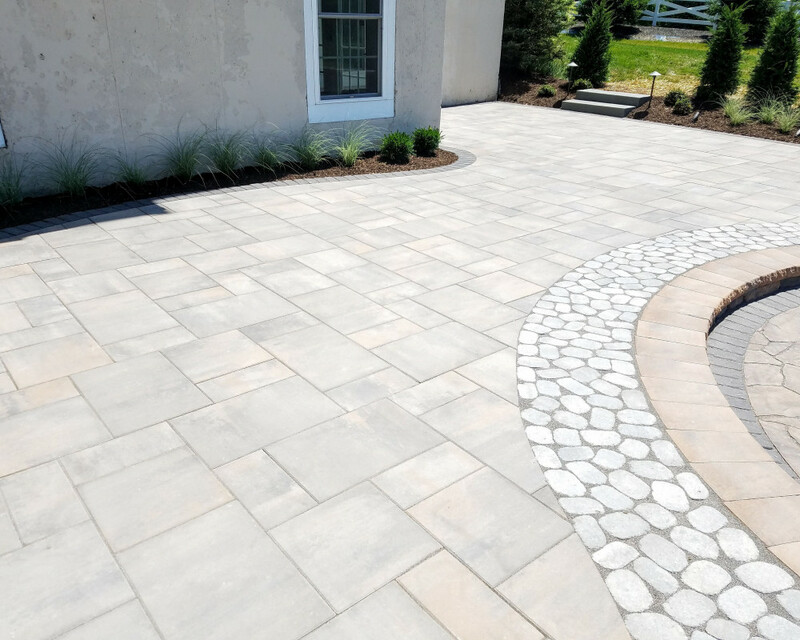 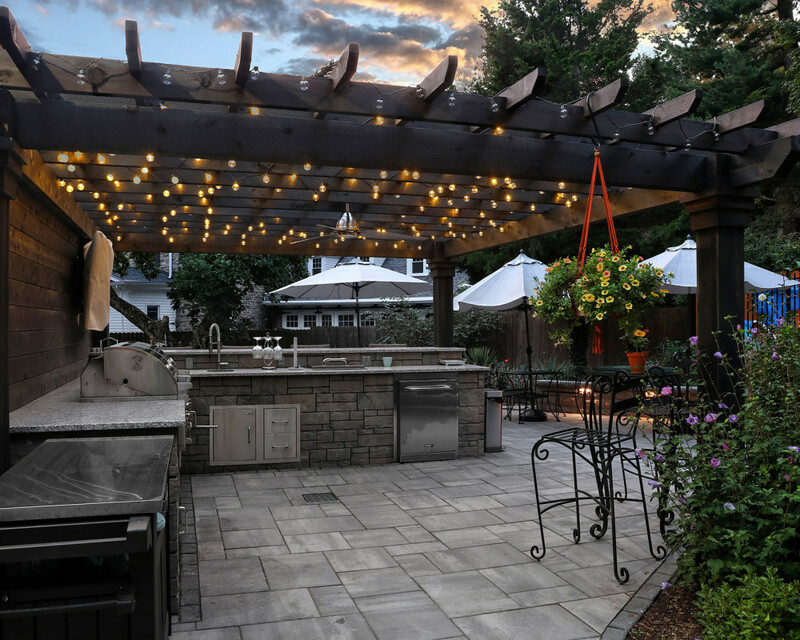 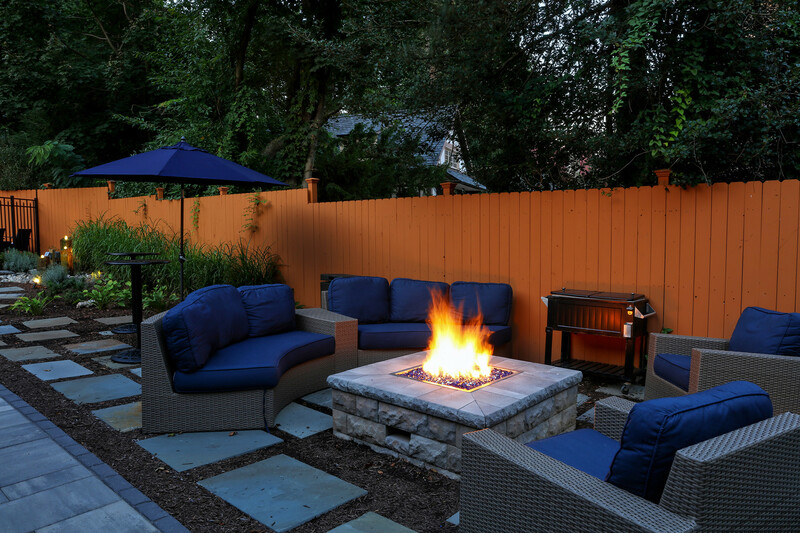 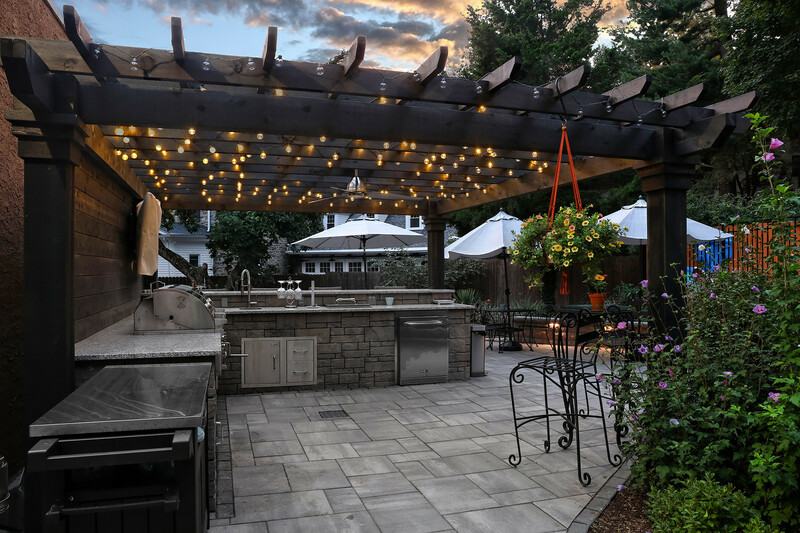 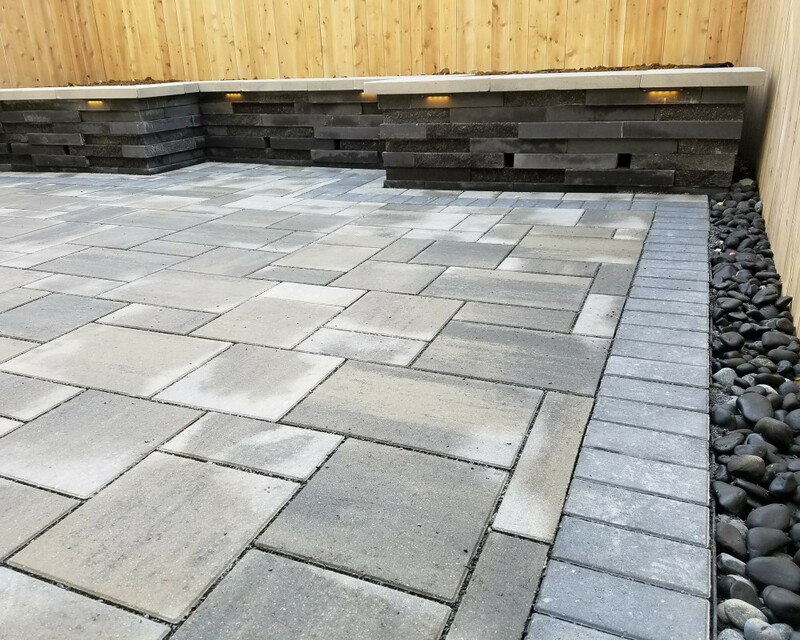 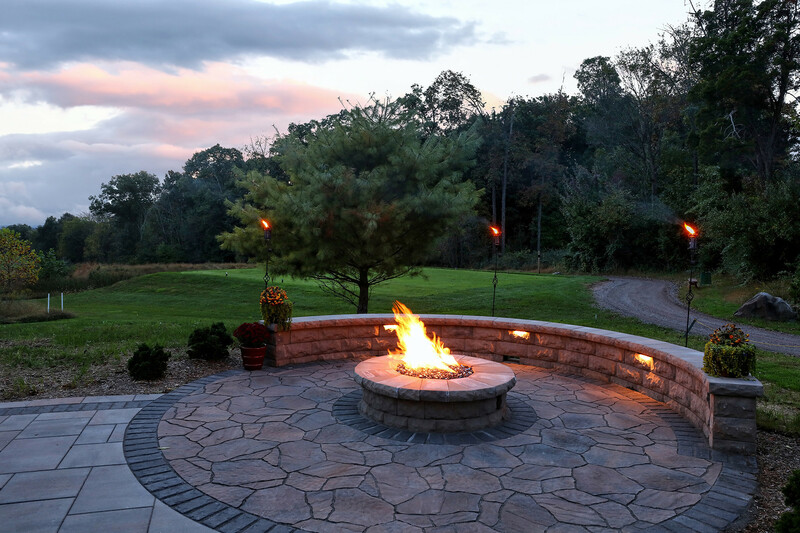 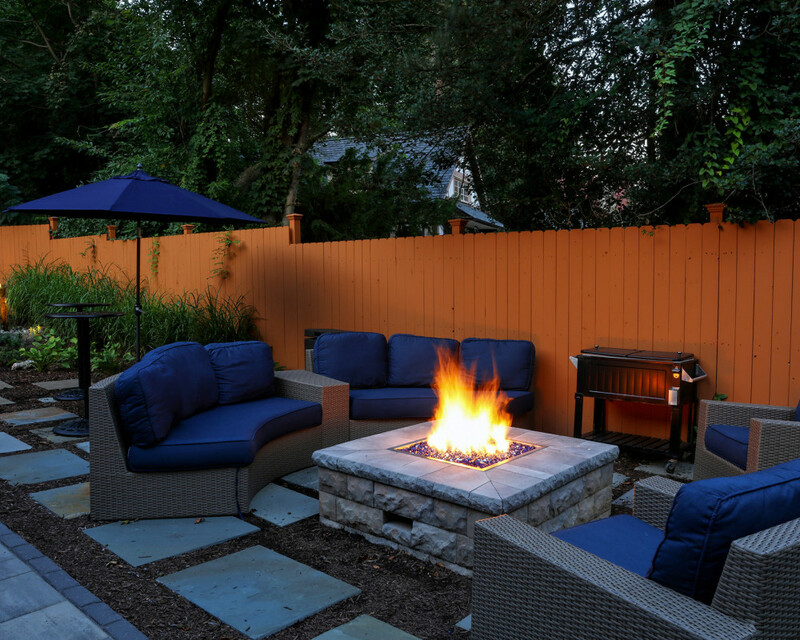 GroundTec Inc is a full service landscape design and build firm. 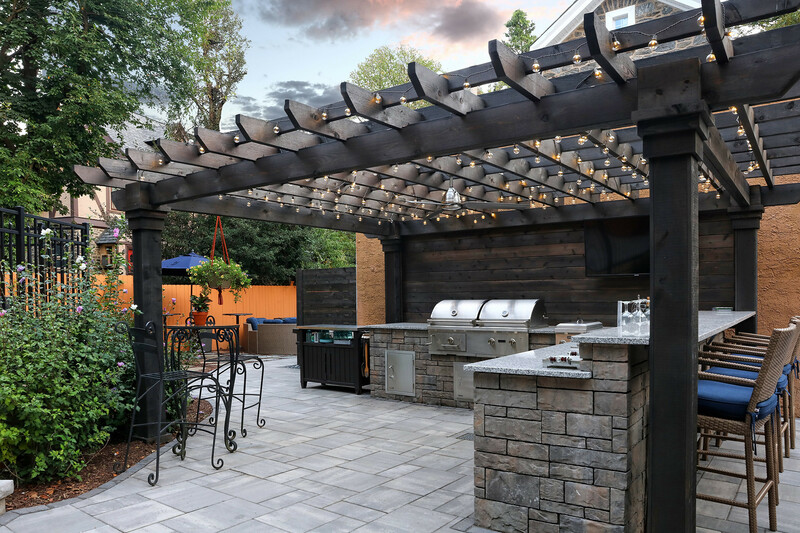 Let our team take your project from concept to completion seamlessly no matter the scope of the project. 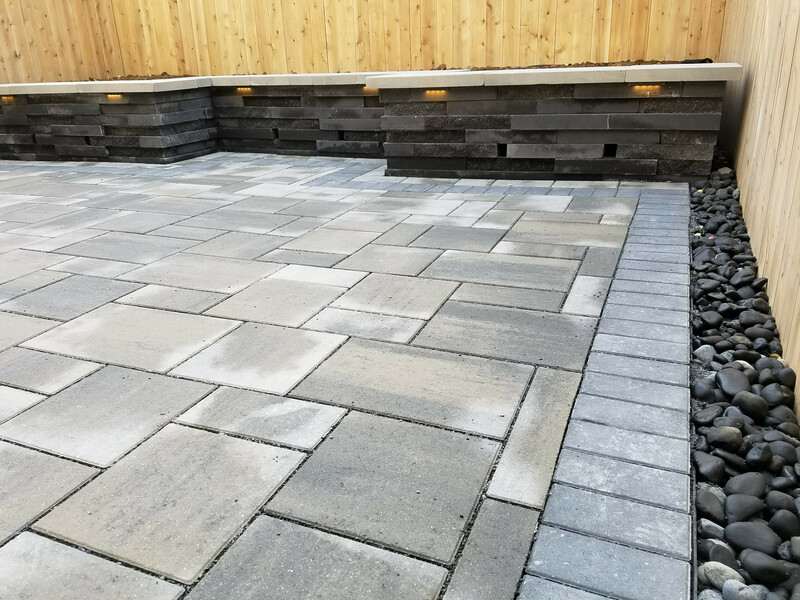 Elevated patio using Blu Grande in Shale Grey with Villagio border and Graphix retaining wall, Rocka steps and lower synthetic turf yard. 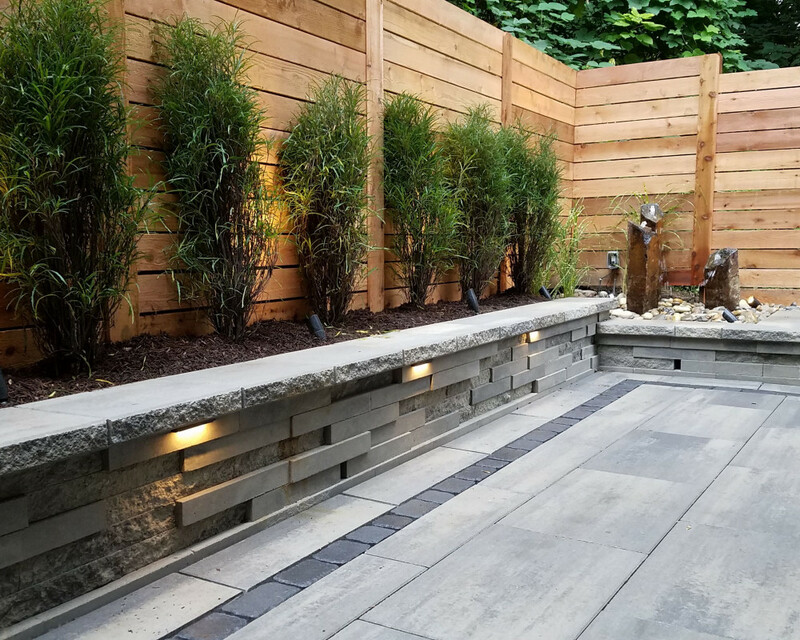 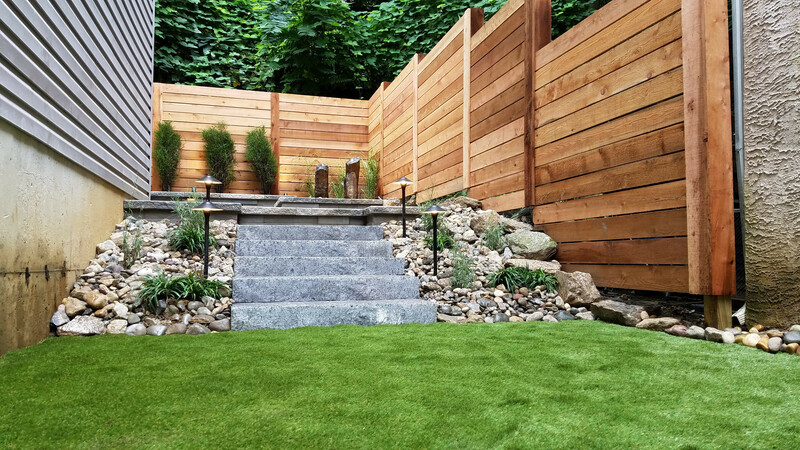 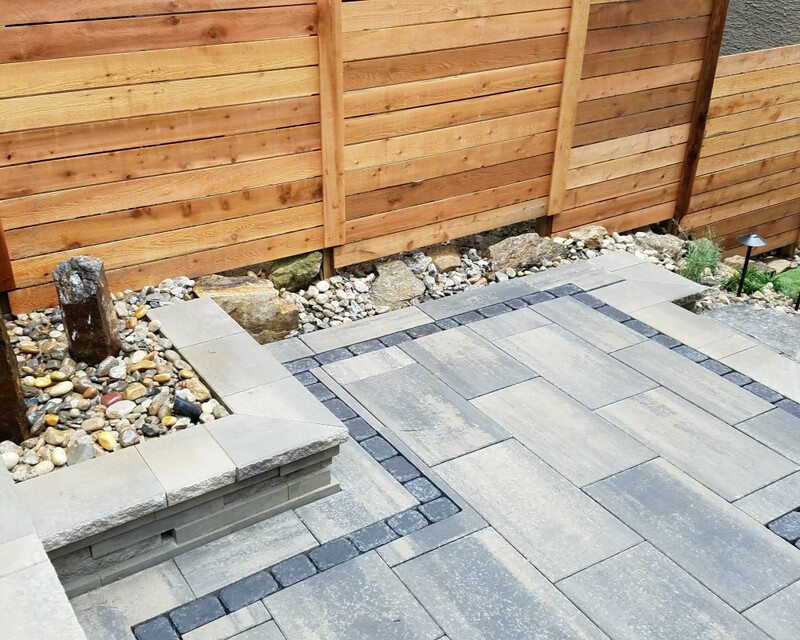 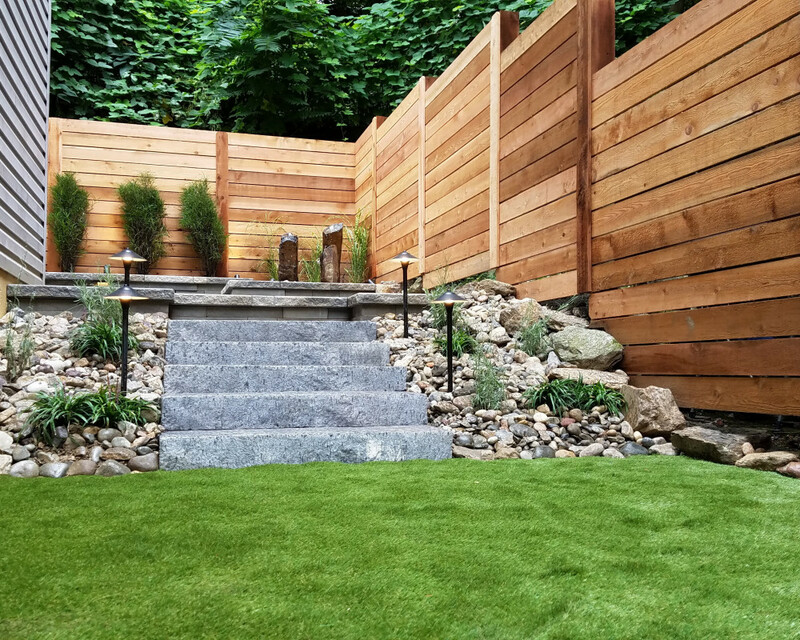 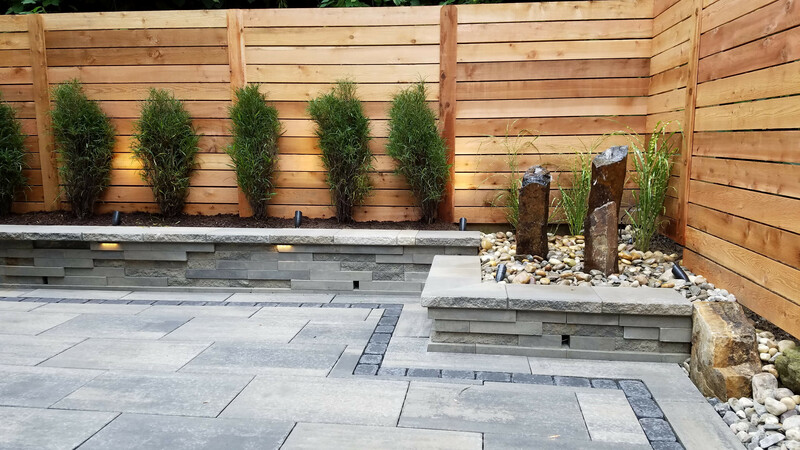 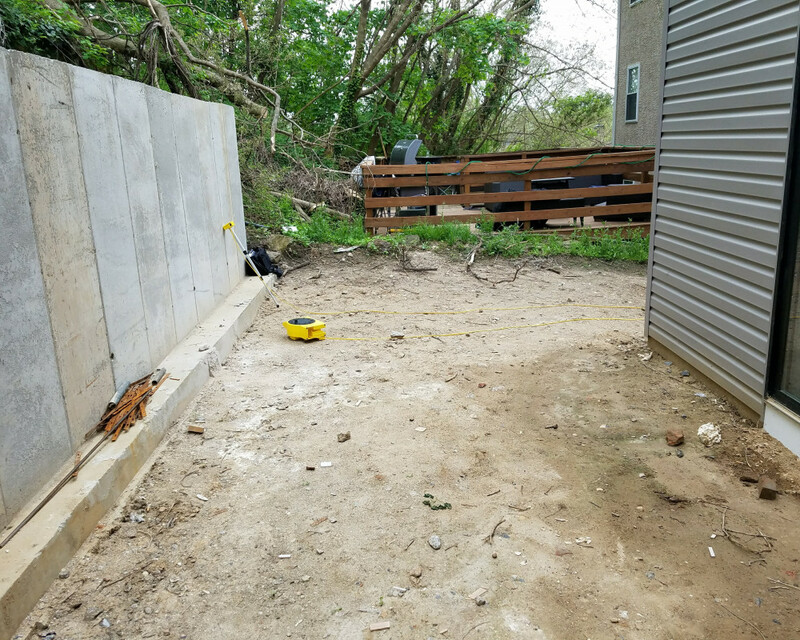 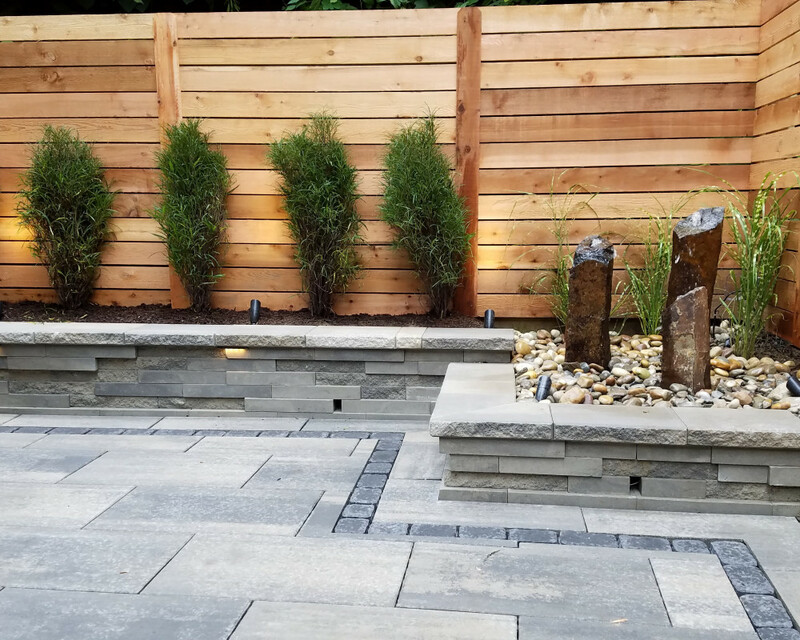 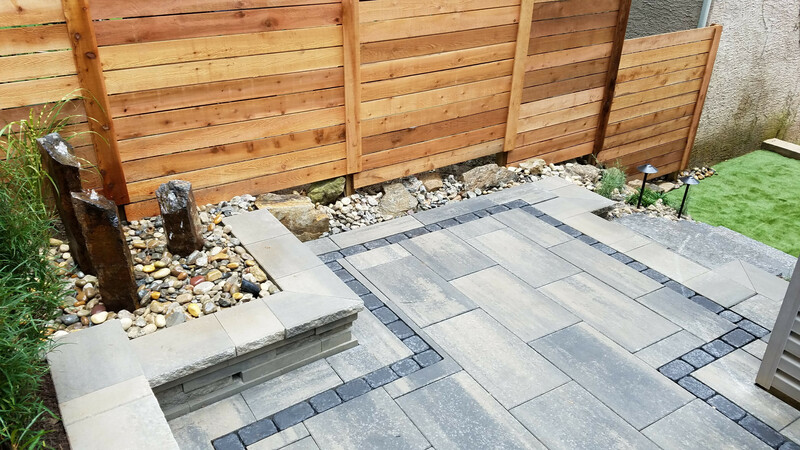 Cedar fencing, landscape lighting and a water feature were also installed.